AustinPostcard - Texas Bible Chair Building, Austin, Texas The Christian Woman's Board of Missions. 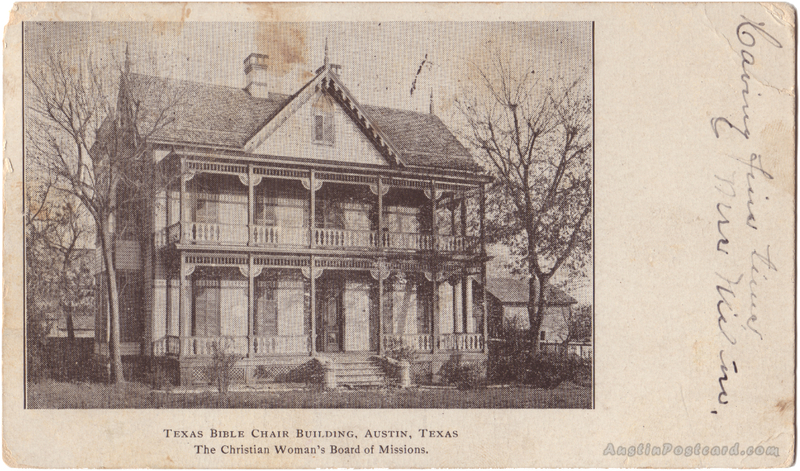 Texas Bible Chair Building, Austin, Texas The Christian Woman's Board of Missions. Postmark: OCT 2 11-PM 19 07 WICHITA KANS.